I was reminded of this because of a recent visit to Marynissen, who have been a real clown show and avoidable winery in recent years – but I tried their new 2017 Rosé and was absolutely blown away – was I just giving them a pass because it was drinkable or was it actually a good wine? I got others to try it just to make sure, and lo and behold they have a legit hit on their hands. This gives me a few stories to tell and a challenge to issue. I have often floated the idea to colleagues and others in the industry of setting up an “avoidance tour” – this is how it works: you get 4-5 friends together and everybody puts one winery onto the "visit list", but this time it’s a winery you have been avoiding for whatever the reason; and the reasons for avoidance are as varied as the people doing the avoiding - here are some of mine. The one story that always comes to mind for me is about Inniskillin, I avoided them for years because after a tasting with some friends (and before I became a professional writer) we were chased out into the parking lot, by an Inniskillin winery staff member, for our tasting fee, even though we had purchased 2 cases a wine between 3 people … had we been more with it we would have paid the fee and returned the wine ... it’s that kind of thing that leaves a bad taste in one’s mouth and it did for us. Others I avoided were Crown Bench, because the owners were weird and made people feel uncomfortable … and who wants hot pepper icewine anyway? And Joseph’s, because it was Joseph’s, plain and simple the wines were just very uninspired, and who buys uninspired? Even cheap uninspired is still bland and boring..
On the other hand, I have high expectations for places like Chateau des Charmes (I got married there), Malivoire (as a Gamay fan how could you not? ), and Nyarai Cellars (owner Steve Byfield is a personal friend and I expect nothing but the best from him) … some of these expectations, the good and the bad, lead to either lowered expectations (“wow, that Joseph’s wine is drinkable”) or heightened expectations (“That Equuleus isn’t as good as the 2012”). It is odd the way we put our labels of expectation onto wineries and hold onto them for years, even though ownership may have changed, staff has turned over, or winemakers have left and been replaced by someone more competent. In the end expectation is a funny thing and maybe something we should all try to get over – because Ontario is putting out some wonderful wines and you should be able to find at least one at each winery – remember: sometimes you have to kiss a lot of frogs (so to speak) to find the prince. This year I challenge you all to get out there and create your own “avoidance tour” – pick one winery you have not visited in a while (for whatever the reason) and try it again – then let me know how it turned out. Who knows, maybe we’ll get a chance to change our opinions and those expectations. I want to hear from you – tell me your expectations – good or bad and then revisit the winery you have been avoiding … I’ll publish the best tales of horror and redemption throughout the rest of the year. OntarioWineReview’s bi-weekly newsletter is devoted to the love, enjoyment and promotion of the wines of Ontario and the wineries that make them. What can the Grape Guy do for you … Michael Pinkus (Grape Guy) provides a variety of wine related services that you might be interested in taking advantage of: he gives lectures, leads seminars, conducts tastings, sets up tours; consults, selects and judges. He also gives interviews, broadcasts, podcasts and writes. Contact the Grape Guy if you require any of these services or have any questions. Psst, Pass It On … keep the good wine flowing. 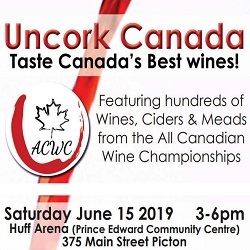 Forward this newsletter to your mom in Milton, your son in Smith Falls, or any other family member or loved one that you know needs good wine advice. 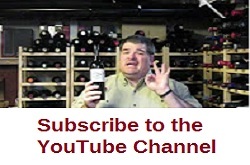 Follow Michael Pinkus, the Grape Guy’s (almost) daily Tweets at http://twitter.com/TheGrapeGuy . You can become a friend on Facebook: http://www.facebook.com/?ref=home#!/mepinkus . Those who are “Linked In” can find Michael at http://ca.linkedin.com/pub/michael-pinkus/14/704/4b8 .